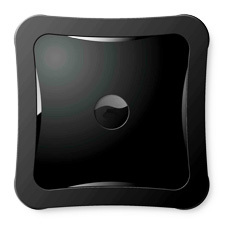 The Optical Dance Pad is a contactless, wireless dance pad controller for video game systems. Using specialized optics and infrared emitters/receivers, the Optical Dance Pad can detect both temporal and spacial object placement in one or more segments surrounding a central area. This is an improvement over traditional dance pad controllers that require physical contact of the switches within the pad. Grand Idea Studio has licensed the associated technologies and intellectual property to and provided engineering consultation for the Logitech® Interactive Entertainment division.